I have always been fascinated by the contrast of the brilliant blue sky and the red earth in the Flinders Ranges and a photograph of Siller’s Lookout was my inspiration. I used commercial fabric for all features of the landscape and the technique was raw appliqué. I also added features in the rocky lookout with hand embroidery (straight and cross stitch) and on the left I used French knots as highlights. The sky and other areas were hand quilted. The quilt was finished with a facing. 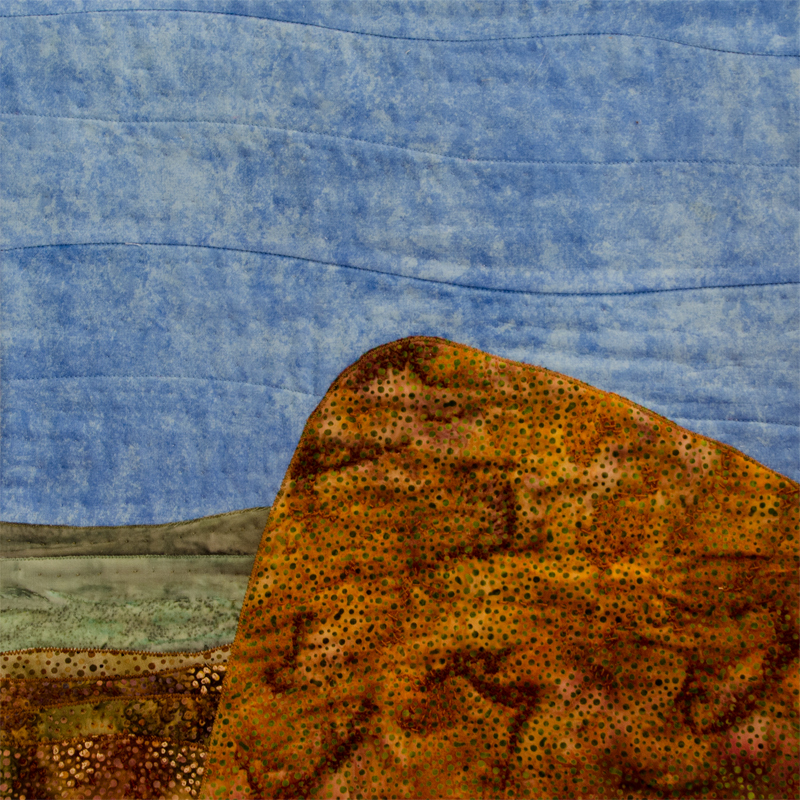 Wonderful use of color to capture the dryness of Australia and the blue of the sky. Simple, stark, striking! I really like it! When I saw the quilt I knew it was Australia ! Very simple shapes but striking ! Bravo Kaylene !